Appreciation of volunteering, and what has often been called “employer-supported volunteering” has come a long way over the last decade. According to a research report commissioned by volunteering and learning charity CSV last year approximately 70% of FTSE 100 businesses now have an active employer-supported volunteering programme. In terms of measuring the impact of these programmes, the London Benchmarking Group model helps businesses at different stages of development to understand and measure “community impact” and to define what they are trying to achieve through investment, including volunteer time. The model supports the process by which a company can measure its overall contribution to the community, be it in cash, pro-bono or volunteering support, and the outputs and longer-term impact of its contribution. Volunteering England, which supports volunteering and organisations who involve volunteers is also celebrating the 10th Anniversary of its excellent Investing in Volunteers standard, the UK quality standard for good practice in volunteer management. In September, Andrew Haldane, chief economist at the Bank of England, and co-founder of voluntary sector/economist match-makers Pro-Bono Economics gave a speech entitled "In giving, how much do we receive?" The economic and social value of volunteering in the UK is significant, he says, with 29% of respondents to the government’s Community Life Survey saying they volunteer formally at least once a month. 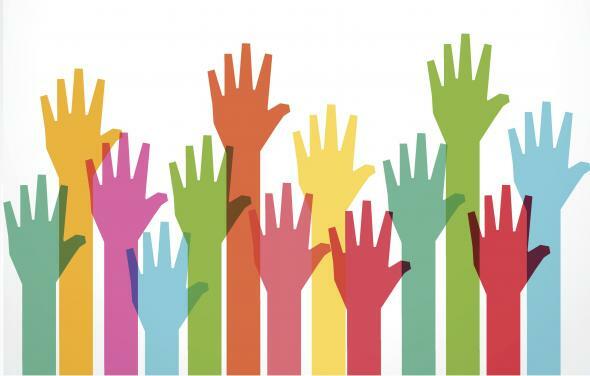 Pro Bono Economics calculates (using Office for National Statistics data) that UK volunteering is equivalent to 1.25 million full-time equivalents (FTEs), or double the number of paid FTEs in the voluntary sector, which is 800,000, according to NCVO’s 2013 Civil Society Almanac. Apparently using traditional economic input/output measures would make volunteering worth about 1.5% of GDP, a significant sector in its own right. Of the students we tracked using our Skills Assessment Framework, those on our programmes make on average more than twice the expected level of progress for their age against those not on our programmes. Approximately 1,000 hours of volunteer time from our business partners last year supported our work, an indispensable component in helping us achieve our impact. Haldane’s speech also talks about the value of volunteering to the private individual, which I think is crucially important as I’m sure many people don’t consider the time they give as something to be measured on their employer’s triple bottom line. He explored the value to the individual in terms of self-reported benefits in three main categories: enhanced well-being, health benefits and increased skills and employability, and considered each in turn. He considers surveys of national well-being to be the most authoritative method to assess the impact of volunteering on the individual. Health benefits – and particularly benefits to mental health – from volunteering include integration and engagement, particularly at stressful points in people’s lives. Whereas not all forms of volunteering, Haldane points out, necessarily improve skills and employability, Haldane does mention, among other things, a recent Volunteering England survey which reports managers’ belief that workplace skills benefit from volunteering. A happy, motivated workforce is also more productive. Trying something new that draws on my own skills and expertise. Sharing my knowledge of the business, the roles within it and the different career paths. Working with the students during the visit to support them and help them get the most out of it. Thinking about the skills I use in my day job and reflecting on how I engage with colleagues with different levels of motivation, energy and buy-in to a project’s aims. Meeting and working with colleagues who I don’t normally work with. And if you know an employer still needing convincing of the value of volunteering? You might try the latest research report from CIPD: Volunteering to learn: Employee development through community action. It gives a good overview of the range of volunteering opportunities that can link to specific areas of personal development. My favourite quote comes from Linklater’s Matt Sparks, who says “When you’re telling kids to think about their careers, you end up having a better articulation of your own too,” which rather neatly underlines the very personal nature of volunteering and the often unintended positive impacts on the volunteer too. Simon Hill, head of partnerships at Enabling Enterprise, and a primary school governor, explains us how volunteering has both economic and social value whilst also bringing benefits to volunteers themselves.